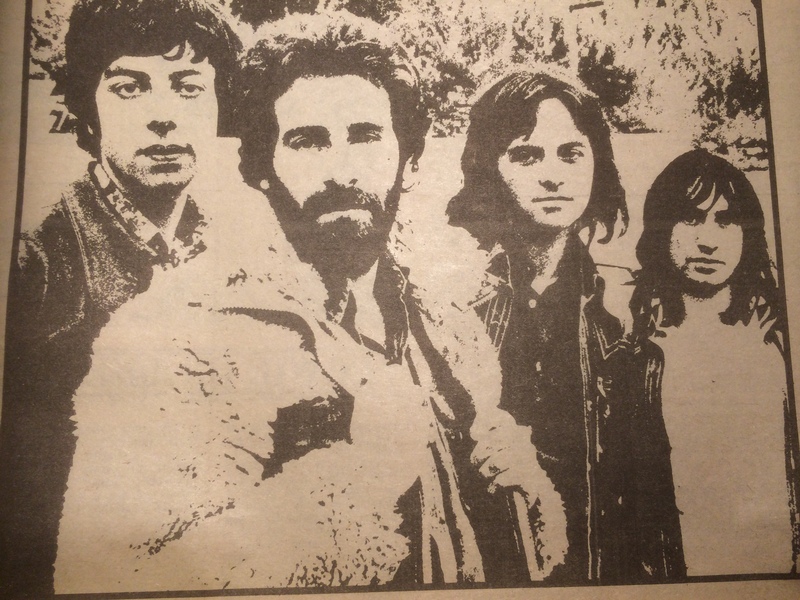 ARTICLE ABOUT 10cc FROM NEW MUSICAL EXPRESS, AUGUST 11, 1973 | My Things - Music history for those who are able to read. The last time I printed an article here, a fellow with the name of Thom Hickey made a comment that among other things said that he wanted to see some articles written by a certain journalist. As some of you have noticed earlier, I like hits on my blog making my counter go “whoop”, but now it seems that I like comments too. So here it is, Mr. Hickey, a fine article by your favourite journalist covering the then new band called 10cc. When I tell you that a POP band – a “singles band” – has put together one of the best ROCK albums in several years, you`re going to laugh in my face. So wrote Ian MacDonald in his NME review of new album from 10cc. He`s still trying to convert the doubters. Can you afford to laugh – and miss out on 10cc? Remember “Neanderthal Man”? You know – “I`m a Neanderthal man, you`re a Neanderthal girl, so let`s make Neanderthal love in this Neanderthal world”. T.S. Eliot has nothing on that, right? Well, that was 10cc. Or rather, that was Hotlegs, which was three-quarters of what now is 10cc. Lol Creme, Kevin Godley and Eric Stewart of Manchester stopped calling themselves Hotlegs a couple of years ago and joined forces with Graham Gouldman, songwriter, also of Manchester. Having all been close friends since secondary school, it seemed the logical thing to do – and, now that the quartet are beginning to register as 10cc, the logic of the situation proceeds unabated. They`ve had two hit singles; now they`re having a hit album; next they`re (hopefully) having a hit stage-act. No problems. No surprises. 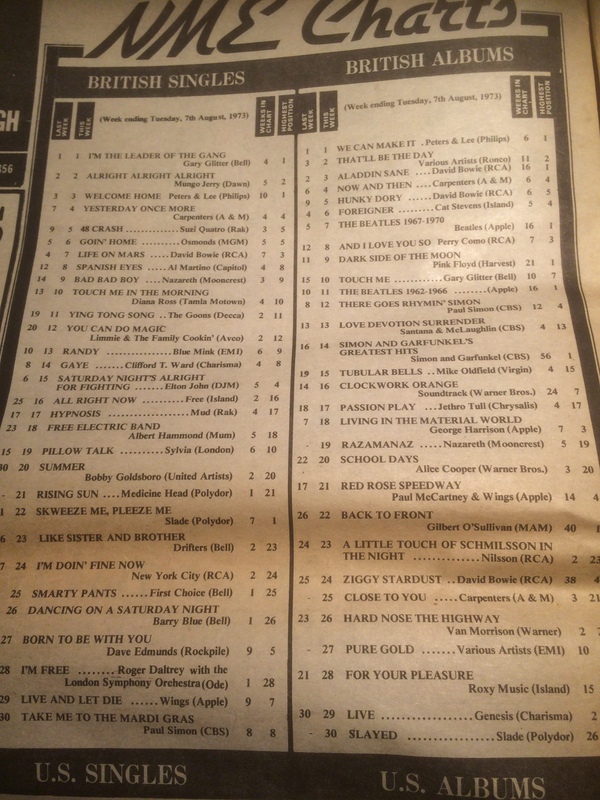 Except that 10cc are a pop-group, aren`t they? They have hit singles all the time – but hit albums? Hit stage-acts? When, in 1968, Godley and Creme emerged from college, Gouldman was big-timing in America, working directly for publishers and producers, while Eric Stewart was setting up the brand new Strawberry Studios at Manchester in financial partnership with Gouldman and in technical harness with engineer Pete Tattersall. Creme and Godley went in with Stewart, contributing towards the studio`s as yet scanty equipment, and, during the course of messing about with Strawberry`s 4-track desk in 1969, “Neanderthal man” happened. In the wake of this success the trio, now known as Hotlegs, quickly got into improving the studio and recording an album with full orchestra, “Hotlegs Think School Stinks”, re-released in slightly altered form as “Song” in 1971. On either occasion did it raise any interest and the only thing it will probably be remembered for is the cover, the concept of which was “borrowed” by Alice Cooper for “School`s Out”. The creative lull has had its spin-off, however, in that all four of 10cc are now very experienced in production. The fruits of work on such as “The Man From Nazareth” and Rameses` “Space Hymns” can be heard on the group`s current album which is in every respect brilliantly put together while, simultaneously, representing only two weeks` studio time from the first backing-track to the final mix. King it was to whom the band sent “Donna”, soon after recording it with their Gouldman-augmented line-up last year. It took him only two weeks to sign and name the group and get “Donna” out on his UK imprint. And it was largely due to his perseverance that “Rubber Bullets” overcame first a BBC ban and then the Corporation`s insistence that the record be cut by a full minute, thus depriving it of the chorus-repeat without which singles are supposed to have no commercial chance. But the ultimate success of “Rubber Bullets” was musical, not promotional, and the fact that its comparative complexity could achieve popularity, notwithstanding the enforced elimination of its one obvious commercial device, holds great significance for both the British singles market and the rock industry as a whole. Back at the continuing story of 10cc we find Graham Gouldman returning from the States and joining his old mates at Strawberry Studios, providing the band with a bassist and an extra voice, as well as another source of material. “Kev and I felt we outnumbered Eric in Hotlegs,” says Lol Creme. “We felt obliged to like his stuff, which he did mostly on his own, and he ours. We were into lighter things and thinking in terms of complicated structures and orchestrations, while he was doing heavy, bluesy stuff. “These days he`s got Graham to write with and the balance is better both for the band and for helping each other out with the composing side. “For example, `Speed Kills` started out as a backing-track that Eric did during the Hotlegs period and which he kept adding new guitar-tracks to over the next eighteen months. It was getting heavier and heavier and we had to reinforce the studio several times! The first track recorded by the four-piece line-up was a Gouldman-Stewart song, “Waterfall”, originally intended to be the group`s first single (with “Donna” on the flip), but finally released as the B-side of “Rubber Bullets”. “We weren`t quite sure what 10cc was going to be at the time,” says Godley. “After `Donna` was a hit, we put out `Johnny Don`t Do It` which was a similar 50s thing. We were thinking in terms of a formula, I suppose. “Anyway The Shangri-Las` `Leader Of The Pack` got re-released at the same time and, dealing with virtually identical subject-matter, completely eclipsed `Johnny`. After that we had to work out what the band stood for from scratch. “It`s hard to define what 10cc is. It`s what we do at a given moment, probably. It`s also our particular form of humour and I think it`s a reaction against the introverted `corridors-of-my-mind` stuff we`ve been getting in the last two or three years. “And it`s not just straightforward silliness or parody, either. The quotes and allusions sometimes arise because the work of artists we admire gets so deeply embedded in our minds that we can`t help coming out sounding like, say, the Beach Boys or Stevie Wonder. “I mean, when we get into something, we really get into it. The resulting music is fresh, fast, tight and short, recalling the long lost days of `Revolver` and `Smiley Smile` when it was all down to saying it without supernumary adjectives and getting it right first time – a working atmosphere that could do with revival in the sprawling Seventies. “Once you`re in a studio and behind a 16-track desk, there`s a great temptation to go on and on twiddling knobs and getting further and further away from the original music. “With us, we all know each other well enough to be able to call a halt if one of us is getting carried away. I`ll tell Kev to piss off if I don`t like his ideas and vice versa. As to the future, 10cc are getting their road-show together and releasing “The Dean And I”, a track from the album that`s even more subtly structured than “Rubber Bullets”, as their next single. In their ambivalent position they`re not very sure what their audience will turn out to consist of, so they`re concentrating on making sure that the stage-act is foolproof in any situation, putting a lot of effort into duplicating the faultless sound of their recordings (“As opposed,” says Creme, wryly, “to throwing ourselves around the stage in silver lame”), and perfecting a new instrument which Godley and Creme have recently patented. There`ll be another drummer, partly to allow Godley to do his share of the singing and partly because they like the sound of two drummers. New material, designed for the live situation, is being composed – to be recorded for their next album in a couple of months` time. They`d like to influence a slight return to the controlled and restrained aesthetics of writing, recording, playing and producing that existed around 1966, but most of all, says Creme, “we`d like to take the competitiveness out of pop. “We`re not trying to be better than anybody else and we don`t want to find ourselves in the situation of being compared, either favourably or otherwise, with other bands. You won`t be the only ones, gentlemen. Let`s have a quick look at the charts again…. 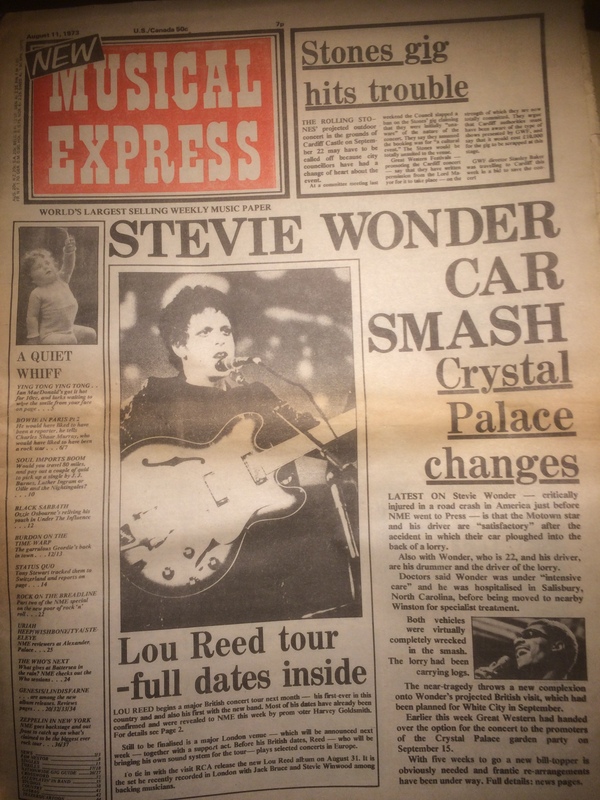 This number of the NME also contains articles/interviews with these people: David Bowie, Pam Nestor, Eric Burdon, Status Quo, The Who, Reviews from the London Music Festival, Led Zeppelin.